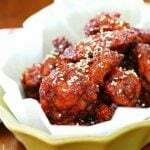 These Korean-flavored chicken wings are oven baked, not fried, yet finger-licking delicious! 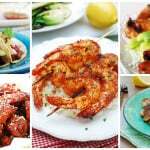 The recipe includes two different marinades. We had a few friends over on Super Bowl Sunday. I am not a football fan, but I enjoy hosting a small party to get together with friends and watch the big game together, as we cheer for our favorite team. This time it was unanimously the Steelers. For some of our friends, the best part of the evening seemed to have been the food. My favorite from the Super Bowl menu always is chicken wings. 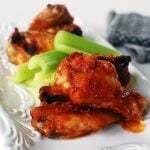 This time, I oven baked chicken wings two different flavors – spicy and savory. They were so finger-licking delicious that my friends asked for my recipes. Rinse the chicken wings and drain the water. Mix all the ingredients for each marinade together. Pour the sauce over the chicken and coat all the pieces with sauce. Cover and refrigerate for at least 4 hours (overnight for best results). Let them sit at the room temperature for 30 minutes before cooking. Preheat the oven to 425 degrees. Line a baking sheet with aluminum foil. Place the chicken wings in a single layer and bake for 25 to 30 minutes until the skin is crisp and golden. Turn them over halfway during baking and baste with the sauce. Reduce the heat level if the wings are browning too quickly. You can also grill these chicken wings on a gas or charcoal grill over moderate heat for 15 to 20 minutes, turning frequently. Repeat the process with the second marinade. The wings sound wonderful! My hubby would love them! I love Asian wings. Great recipe! I should have waited to read this until after lunch. Those wings look SO good, Hyosun. I would take those over a traditional buffalo wing anyday. Yum! 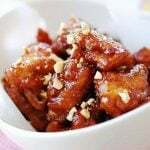 I happened to eat the famous Korean chicken wings at “Bonchon” restaurant in NYC last weekend. Koreans do know how to make their wings finger licking good. Don’t you think? Wonderful recipe. Thanks for sharing. I made a batch of your Korean chicken wings last night for dinner. Oh yeah, they are awesome. And really not too bad or hard to make, it was the ingredients I had the trouble with – just finding them all. Thanks so much for my new favorite wing recipe. OH MY! My mouth is watering! YUM! The wings look really good. Both marinades sound delicious but I especially like the spicy one. I probably have to try the spicy version! Chicken wings are great at any party. With these wings? I would be licking my fingers too! Is there anyway to get in touch with you? I can’t seem to find an email anywhere? My contact e-mail can be found at the end of my “About Me” page. Thanks. I can honestly say that everything you post makes my mouth water and these gorgeous wings are no exception!! omg this dish is wonderful! yes!!! It’s too early for lunch–or even brunch–but I’m drooling over these chicken wings. I can’t stop looking at them. Gosh, one of my favorite foods and I love the two versions you made. Yum! Hi Hyosun, I haven’t been visiting as often as I would like, and I’m sorry that I missed out on these wings! 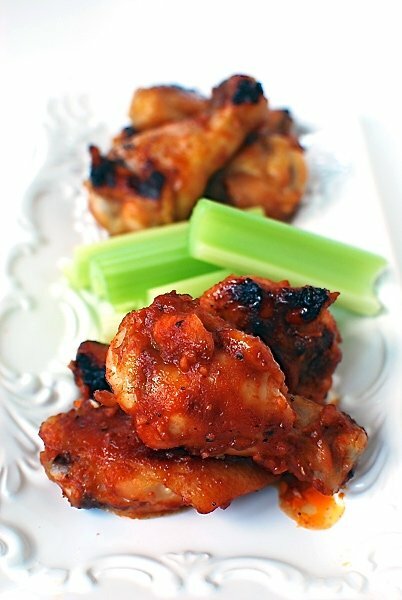 My husband would have loved your sweet and savory wings (me too!) but instead I was lazy on Bowl Sunday and bought take-out wings from Lucille’s BBQ (not sure you have this chain back East) but it wasn’t as satisfying as I had hoped. Hope you’re having a great weekend! This recipe looks delicious! My son Perry loves chicken wings and Korean anything, so I am definitely going to try this out when he gets back from New Orleans! Thank you, Jean! You and your son will like this. My husband is from South Korea and he has two Korean friends staying with us at the moment. I made the chicken wings using the spicy marinade. All I will say is that the chicken wings disappeared very quickly! 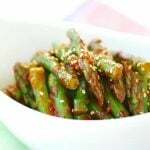 Thank you so much for sharing this fantastic recipe! Thank you, Anonymous!! I am so happy to hear that. Oh now I want to make some wings. It’s been a while. These look delicious! Love all the flavors! Thank you, Lisa! it’s been popular. Hope you try it. Okay even tough I missed this recipe before Superbowl, we eat chicken wings all the time! I might need to go with sweet and savory one but my husband will love to have the spicy one. I guess trying two kinds at the same time? Oh boy these look SOOOO GOOOD Hyosun!!!!!! Nami – What’s up with those chicken wings? Everyone loves them. 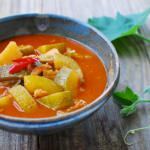 These recipes have been very popular. I hope you get to try them. As I suspected, the thick and honey-rich sauce burned in the 425F oven. I kept an eye on them, and managed to avoid complete disaster. Looking more closely at your photo, I see you have some “caramelized” (burnt) spots on yours, too. But I would recommend marinating in the thin marinade. Then bake for 20 minutes at 425F. Drain off the fat, and brush both sides with the thick sauce and roast for 10 minutes more. If necessary, grill for a couple of minutes more to glaze the wings. The wings were very good, and give a great Korean flavor without deep-frying. But they turned out just short of burned after 30 minutes as directed. Thank you so much for the detailed feedback! I really appreciate it. I made this today for Superbowl, and 425 degrees for about 25 minutes worked well for me. We like them a little crispy and charred. I realize ovens vary though. You can simply reduce your oven temperature a little or time according to your oven. (For a convection oven, the temperature should be reduced by 25 degrees.) Your recommended method sounds great as well. Happy to hear the wings were still good. We really enjoyed ours too. Hello! The wings look delicious! I really want to try this recipe, but rice wine (mirin) isn’t available where I live…can I possibly substitute it with something else? Thanks. You can use any cooking or drinking white wine, or simply omit it. It will still taste great! Cheers! That’s awesome, Emily! I’m thrilled to hear you guys loved it. You’ll like the spicy one as well. Thank you so very much for being a big fan! I look forward to hearing more about your Korean cooking. Happy cooking! 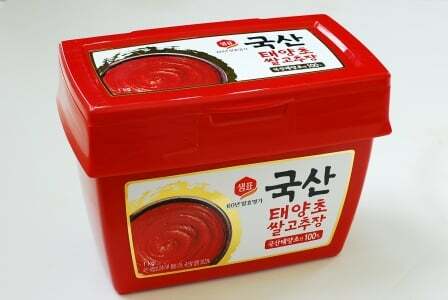 Can you I use beksul spicy sauce of braised chicken, korean bbq sauce for the spicy marinade? Sure! I’m sure it will be delicious. Hi. I try baking ur recipe today… some problems happen is that the oven temperature 425 °F equal to 218 °c I bake for onli 10 min and it turn black. 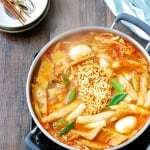 Hahaha… but the recipe is really good… I try the spicy one… thank alot for sharing this recipe. 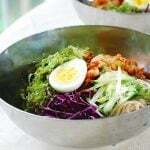 ..
very good recipe and both were delicious and easy to prepare. Can I soak the wings in milk for a few hours before marinating them? Thank you! These wings sound delicious. This is the recipe that I am going to try first. 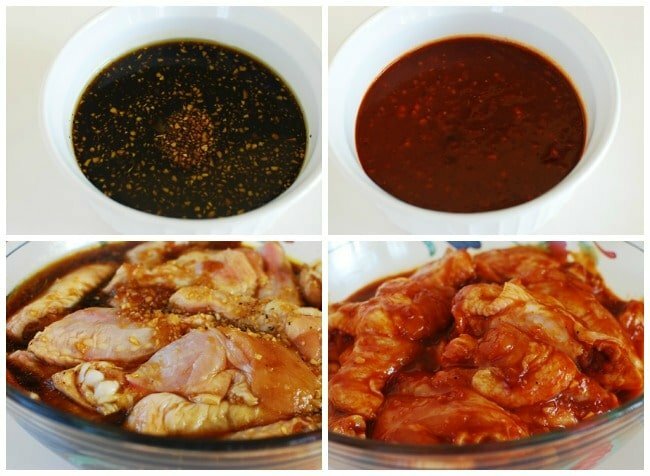 Which marinade do you prefer?